Care and treatment for eye diseases such as glaucoma, macular degeneration, diabetic retinopathy, etc. 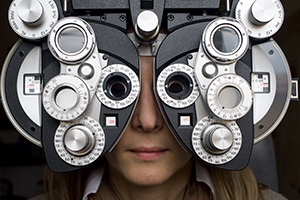 Comprehensive, detailed eye exams which include: children’s eye care, evaluation and post-operative treatment of glaucoma, detailed care for diabetics, and careful cataract evaluation and post-operative care, contact lenses check-ups, and much more. Dr. Stoelting devotes his time to give detailed exams with personalized service. Do you think that you cannot wear contacts? Ask the doctor. He specializes in contact lenses. Receive personalized assistance to find the perfect new frames just for you from a large selection of stylish eyewear. Free eyewear adjustments and repairs are available for all patients.